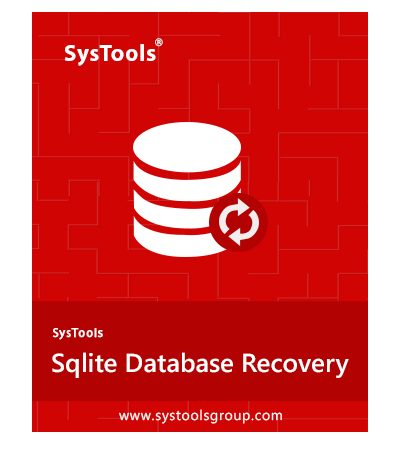 SQLite Database Recovery is a robust utility that effectively scans healthy or inaccessible SQLite 2, SQLite 3, and DB file and restores all its objects such as Tables, Views, Triggers. With the help of SQLite database repair tool, you can easily restore all the Tables, Columns, Triggers, Indexes, Views from DB, SQLite 2 & SQLite 3 files. Moreover, the software is enough capable to scan UTF 8 & UTF 16 SQLite data format files and provide a preview of all the items which are being recovered by the tool. Once you open the SQLite .db file, software will deeply scan it. After the scanning, it will load the complete database and display a preview of the complete items stored within. This way you can easily view all the components that are present within a SQLite file before exporting it. Using the software, one can export recovered DB Tables, Views, and Triggers in three different platform. While exporting database from SQLite file to one of the multiple formats featured; software allows you to check or uncheck the database objects such as Tables, Views, Triggers. This way, it is possible for you to export only selective data without compromising any crucial information. Top of that, it saves time & effort by migrating desired data on designated location. If you select the DSN to export recovered SQLite file database, then software prompts you to map the SQLite data type with the other database type. There will be a default mapping of all the items but if you like; you can change the data types, as supported by the software. The tool can easily load DB file of Mozilla Thunderbird and IncrediMail email clients with complete data integrity. You can easily scan IncrediMail MessageStore.db, AddrBook.db, backup file saved in .db format with the software and export the recovered objects to a designated location. SQLite DB Repair Tool gives you an option to search any keyword within the scanned file of SQLite 2, SQLite 3, or DB. Even if you want to sort the data according to a desired value, then type the phrase in search box. Afterward, all the scanned results get sorted according to the desired phrase and appear on the preview panel. How the tool repair and preview database objects of large DB file? Follow the below instructions to recover SQLite or DB file. Step 1 : Run SQLite Database Recovery Software. Step 2 : Click on Open to automatically scans .db file. Step 3 : After scanning, all the recovered objects gets displayed on preview panel. Step 4 : Click on Export to restore SQLite file tables. Step 5 : Either opt for MS Access Database or SQLite. Else, go with Other Database option. Step 6 : Finally, SQLite file data gets exported. Does the software compatible with Windows 8 Operating System? Yes, this software is fully functional with Windows 8 / 8.1 / 10 and below versions as well. Can I get my SQLite database back in healthy format via recovery? Yes, after recovery of SQLite database from corruption or inaccessibility; software saves it into three formats; Access database, SQLite database and MDF. Are corrupt database files in .sqlite format also recoverable? Yes, the software recovers data from following types of files. Is it possible to recover .db database created under UNIX application? Yes, software repairs Sqlite.db database regardless of the application it has been created under. It supports .sqlite database created on UNIX, LINUX, Mac, Android, iOS etc. ; and via any email client applications. Can I install the tool on my Mac machine? No, it is completely a Windows based utility and only repairs databases on a Windows machine. However, you can bring the Sqlite.db file from your Mac machine to a Windows based computer with the help of any secondary storage device like Flash drive. What does the "DSN" option given in software mean? Data Source Name better known as DSN is an Open Database Connectivity (ODBC) which contains data structure information about a specific database. In SQLite Database Recovery, you can export recovered data into .mdb, .sqlite, and .mdf with the help of DSN registry. To know more about how to create a new DSN for a specific database CLICK HERE. How many databases can I repair at once? You can only add one DB, SQLite2, and SQLite3 file at a time for recovery. Does the software enforce any size limitation for database? No, software does not enforce any size limitation on the database for scanning. You can repair SQLite database of any size without trouble. Can I also export Trigger details from SQLite database? Yes, you can export the scanned result of database, including Trigger to desired location. Does the tool require a supporting application to run? No, the software is a standalone tool and doesn't have dependency on any other application. Is SQL Server environment needed to export database as MDF? No, you don't necessarily need to have SQL Server environment to export database as MDF. You can migrate recovered database into MDF via creating a DSN for it. DSN will let you save the data in MDF format. But, all DSN need their respective driver installed on machine. I had some .sqlite file that was inaccessible. So, I was looking for a solution that can restore database object of my inaccessible file. Finally, I got SQLite Database Recovery Software. It works, it can export SQLite data to 3 different formats, I got that service, still, it feels unbelievable. A Great Product! I can confidentially state that it is an amazing utility that recovers inaccessible IncrediMail 2.5 .db file database. I had recovered all the data objects like Tables with your software. Thanks! Step 1: Run SQLite Database Recovery Software. Step 2: Auto Scan .db File. Step 3: View SQLite Database. Step 4: Export SQLite Database.